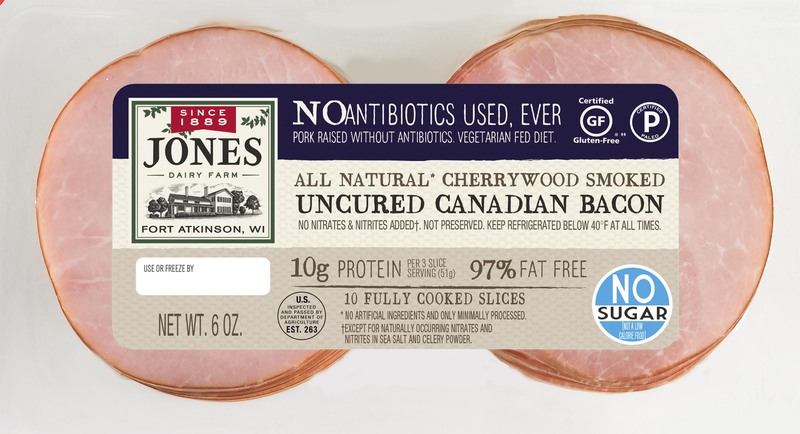 Our latest clean-label Canadian Bacon is high in protein with no hormones. Whether you're eating clean and training mean, or just looking to make better dietary choices, our fully cooked, Antibiotic Free Canadian Bacon should be a regular in your grocery cart. Made with vegetarian-fed, antibiotic-free pork, it delivers 10 grams of lean protein and is 97% fat free, sugar free and Certified Gluten-Free. Lastly, but perhaps most importantly, it's cherrywood smoked with real chips for a satisfying, all-natural flavor without any additives.